The Town of LaGrange Justice Court handles minor civil and criminal litigation and the early stages of major criminal litigation arising within the town limits. This court has wide-ranging jurisdiction but is limited in some situations in what it can do. Such courts include some of the oldest of the state—town justices date back to the seventeenth century. The courts follow sections of the Uniform Court Acts, enacted by the New York State Legislature, which assure that procedures they follow are substantially the same as other courts throughout the state. 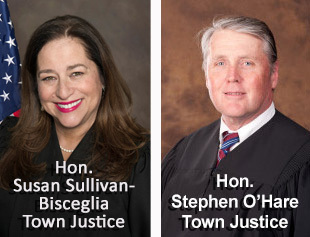 The New York State Unified Court System webpage provides an outline of the court system that shows the relationship of Town Justice Courts to other New York State Courts. There are two Town Justices in the Town of LaGrange and they are elected positions with 4 year terms. Although they each hold court sessions separately, the Court Reorganization Amendment of 1962 and the Uniform Justice Court Act of 1966 require them to be considered justices of a single court. The proceedings of each of them separately are treated as acts of the single Justice Court of the Town of LaGrange. The Town Justices deal with many problems including simple traffic offenses, bill collection cases, small claims suits, felony hearings, and complex commercial litigation. Justices may also perform civil marriage ceremonies, for information contact Justice Stephen O'Hare (845)-452-4108. Each justice holds court at Town Hall but on separate dates. There is a Court Clerk who can answer questions about court procedures but cannot give legal advice. The Clerk collects fines and responds to requests for documents such as certificates of disposition. The Court Office is located in Town Hall. 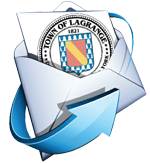 ATTENTION: THE MATERIAL ON THIS PAGE IS ONLY FOR INFORMATION ABOUT THE TOWN OF LAGRANGE COURT AND IS NOT INTENDED TO PROVIDE LEGAL ADVICE. THE TOWN OF LAGRANGE MAKES NO CLAIMS ABOUT THE CORRECTNESS OR COMPLETENESS OF THIS INFORMATION. 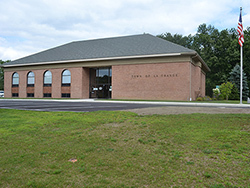 The Town of LaGrange Court hears formal civil cases when either the Plaintiff or the Defendant resides in, is employed in or has a place of business within the Town. Defendants are not guaranteed legal representation in civil court as they are in criminal court but may retain legal representation. People with low income may wish to contact Legal Services of the Hudson Valley which is funded, in part, by the US Department of Health and Human Service, the New York State Office for the Aging, and Westchester County. Cases charting the commission of a traffic infraction within the town limits are filed in the Town of LaGrange Justice Court. Information regarding how to proceed with a traffic ticket may be found on the back of the ticket issued to the motorist. If the motorist responds by leading not guilty, the Court Clerk will schedule an appearance date for a pre-trial conference. This conference gives the motorist the opportunity to discuss the case with the traffic prosecutor and, if the parties agree, to enter into a plea agreement subject to the approval of the court. If no plea agreement is agreed upon by the parties, a trial date will be scheduled. The court conducts non-jury or bench trials for vehicle and traffic infractions. If the motorist pleads guilty by mail, a letter will be issued that informs the motorist regarding the amount of the fine and surcharge, and payment procedures. The Court hears small claims cases up to a maximum amount of $3000 when the Defendant resides in, is employed in, or has a place of business within the Town. Individuals and sole proprietors of businesses may bring a suit against an individual, corporation, partnership, association or assignee in Small Claims Court by filing a claim with the Court. There is a filing fee of $10 for claims up to $1000 and $15 for claims up to $3000. You may not file a claim in Small Claims Court for over $3000. Small Claims Court is intended to provide a simple, informal and inexpensive procedure for prompt determination of small claims. The hearings are conducted in a way that ensures justice according to law without requiring a detailed knowledge of courtroom procedures or rules. The Court also hears Summary Proceedings/Evictions when the property and the Respondent are located within the Town. These proceedings include non payment of rent or holdover evictions. Plaintiffs may claim the full amount in dispute as there is no limit on the amount of the claim for which the Court has civil jurisdiction in such cases. The Court hears both residential and commercial landlord/tenant cases. The Town of LaGrange Court hears criminal cases originating within the Town and has full jurisdiction for non-felony cases (misdemeanors and violations) to accept guilty pleas or hold trials. On felony charges, the court conducts the arraignment and preliminary inquiry and may set bail or hold without bail. If the charges are not reduced to misdemeanors, the Town Court transfers them to Dutchess County Court for final disposition. The Town Court may not accept pleas in felony cases. Defendants have the right to legal counsel and to choose a jury trial or non-jury trial for misdemeanor cases. The Dutchess County Public Defender's Office provides legal services to criminal defendants who have been determined to be indigent.